Technological and societal changes led to an explosion of digitally available data. Exploiting the available data to its fullest extent, in order to improve decision making, increase productivity, and deepen our understanding of scientific questions, is one of today’s major challenges. Data science is an emerging discipline that aims to address this challenge. This is an opportune time to pursue training in both a challenging and rewarding new field deemed by the Harvard Business Review to offer the “… sexiest job of the 21st century”. 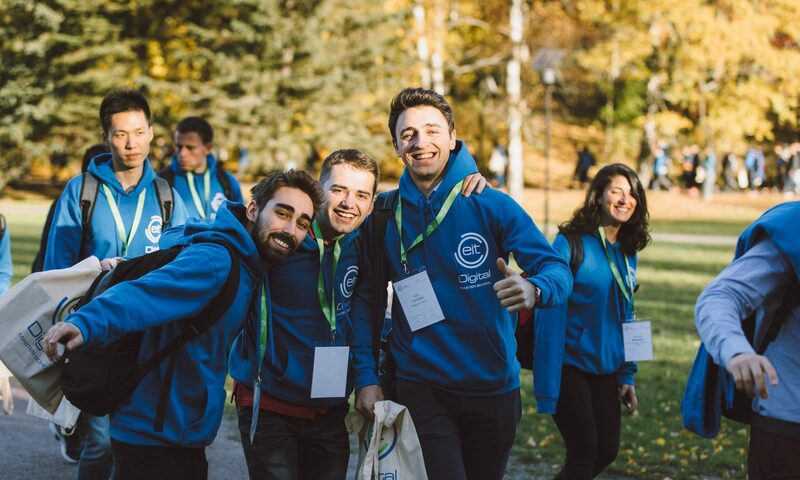 Within the EIT Digital programme in Data Science (DSC) students learn about scalable data collection techniques, data analysis methods, and a suite of tools and technologies that address data capture, processing, storage, transfer, analysis, and visualization. 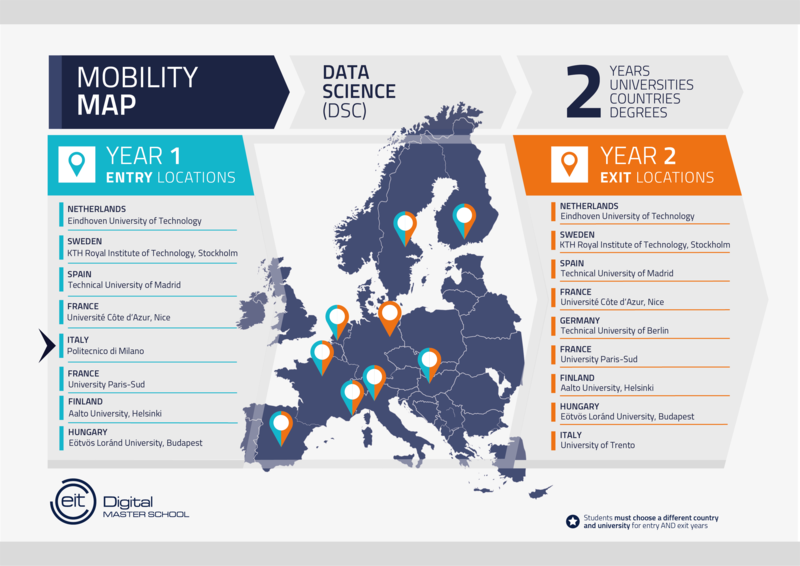 Politecnico di Milano offers an entry-year program for Data Science providing 60 ECTS. It consists of a set of technical courses (36 ECTS), bases in Innovation & Entrepreneurship (20 ECTS) and a thematic I&E Summer School (4 ECTS). The following summarizes the study plan for the first year. Please notice that, on the basis of the curriculum of previous BSc studies, the Admission Committee at Politecnico can specify some little directions on the individual study plans, regarding the choice of courses to be attended. During the second year, students have the option to specialise in one of the technical areas that are offered by the Exit Universities. Please, refer to their local programs for the second year or find them out on the EIT Digital Master School webpage for Data Science. The Data Science major is a study track within the Polimi’s degree programme in Computer Science and Engineering (M.Sc.). Therefore, this entry university is best suited for applicants with a bachelor degree in Computer Engineering (or equivalent programmes). This means a strong base of ICT, computer science, programming and engineering courses in your transcript of records, including math courses at academic level (e.g. calculus, discrete or stats) and physics.